We rent Moonwalks, Interactive Inflatables, Slides, Dunk Tanks, Sports Games, Carnival Games, Cotton Candy, Snow Cone, Popcorn, Nacho and Hot dog Machines. We rent over 3000 Costumes, Tents, Tables and Chairs, Sound systems, Karaoke Machines, Fly Guys and Generators. 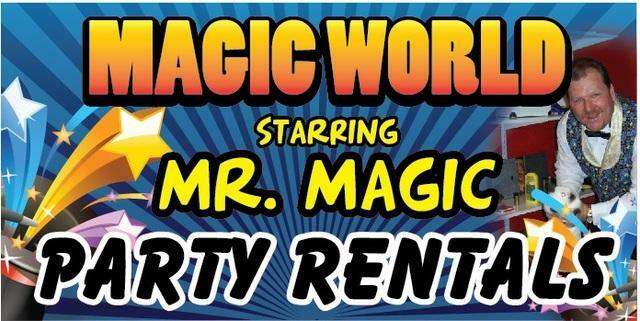 We offer over 75 Entertainers That Include-D.J's, Magicians, Clowns, Hypnotists, Mimes, Jugglers, Puppeteers , Rag time bands and much much more.